When the dentist and the hygienist have diagnosed you with gum disease, the deeper cleaning that they recommend is not just a ‘heavy duty’ cleaning, it’s actually a clinical procedure to control an oral infection. 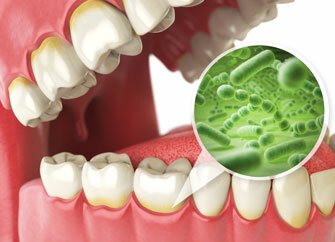 When an infection has been identified in the mouth, the disease cannot be controlled with a routine cleaning. More importantly, a dentist who identifies an oral infection and fails to provide the appropriate treatment (periodontal therapy or a deep cleaning), could be guilty of negligence and malpractice. In the case of active gum disease, where the dentist knows that polishing and flossing will not eliminate the infection, there is no substitute for the deep cleaning. Your deeper cleaning could include the use of anesthetics, special ultrasonic instruments, local and systemic medications, and multiple office visits. You could also be responsible for the additional expenses if they are not covered by your dental insurance. Most dental plans will cover some, but not all, of the treatment costs. And some plans will limit how much of the cleaning that can be performed in each visit. The dental team understands that these details can become a little confusing and overwhelming, and they are happy to guide you through the process. Ultimately, the goal is to provide you with a healthy and clean smile! Delano MN dentists are happy to answer your questions about deep dental cleanings. Just call to schedule an appointment today.